l 		THE WITNESS: Here it is. 3 to offer this document into evidence as well. 4 		MS. ROMANO: No objection, your Honor. 6 defense next in order. 14 been admitted so far? 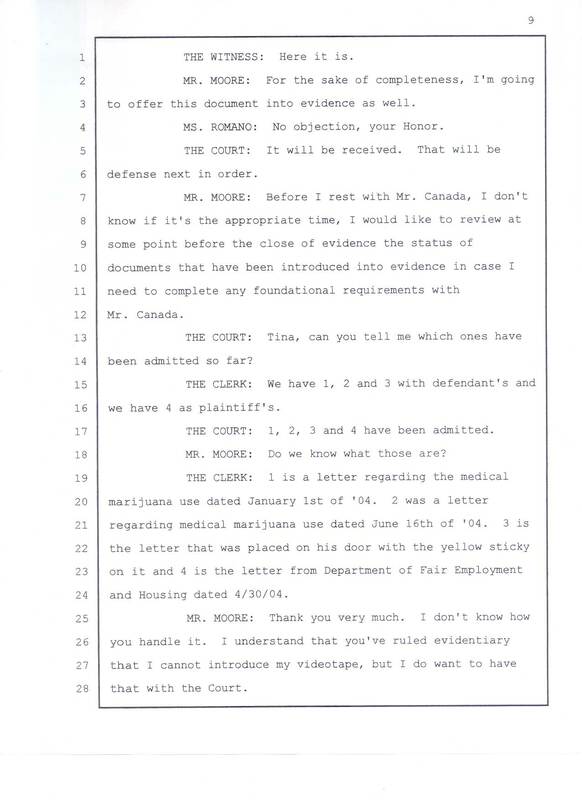 16 we have 4 as plaintiff's. 17 		THE COURT: 1, 2, 3 and 4 have been admitted. 18 		MR. MOORE: Do we know what those are? 24 and Housing dated 4/30/04. 28 that with the Court.